I finally got my hands on some french manicure stickers by ORLY and tried doing a reverse french! I used WnW black creme as a base and ORLY Luxe as a secondary color. This is making me feel very very sophisticated... Like I should be wearing an evening gown. These ORLY stickers are odd, they are not paper but stretchy plastic and they stick very well. 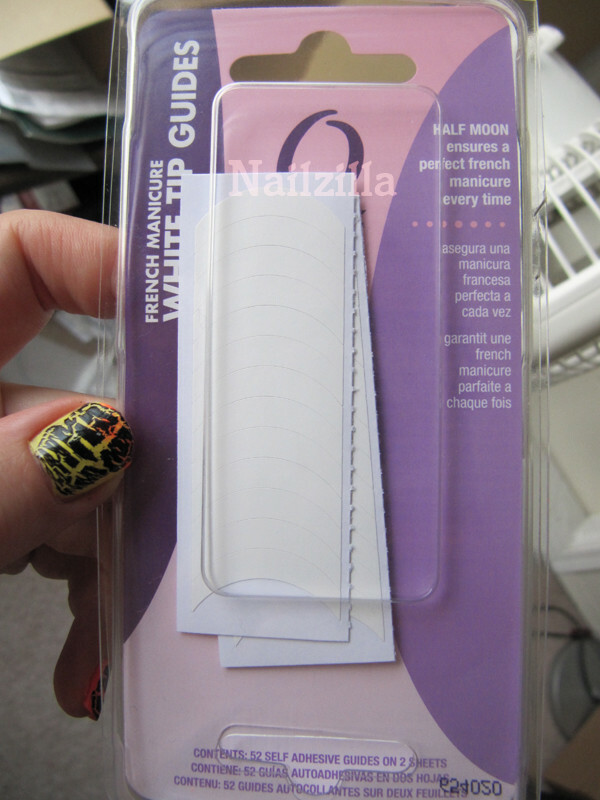 The pack comes with 52 of them, which is a satisfying amount...I suppose it amounts to 5 full manis with 2 strips left for mistakes. Instructions are to leave the stickers on after painting to allow the polish to dry, and they do not take polish with them when you take the stickers off! This is awesome, because when I use tape, I have to remove it immediately so it doesn't get left behind or tape some polish off with it. I'm really happy with these stickers and will be using them later to dry different things. This does look very sophisticated but not too much that you can't wear it everyday. I love it! Thank you! Now I have to try this in many more colors. Oh man this is pretty! I think I may have to try a design like this! !